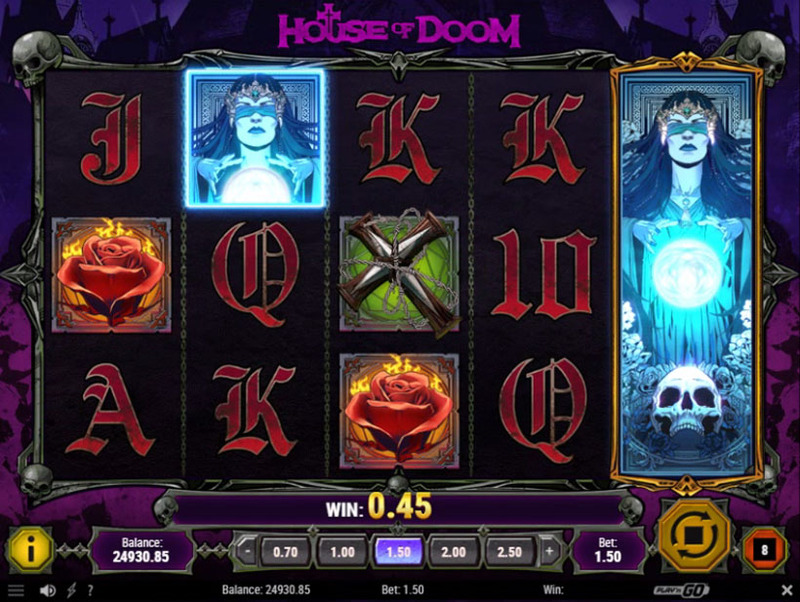 House of Doom offers exactly what players would expect from the slot with this title. Even if you aren’t a big fan of heavy metal staff, you must admit that Play’n GO did a great job. Original music, creepy bell tolling, striking animation, skulls, crests and other slot elements create a really doomy atmosphere. 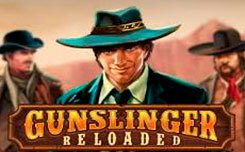 Now let’s proceed to a more pleasant details of this slot – payouts and bonus features. First thing you’ll note when you spin the reels is that one random reel is highlighted on every spin. If you get a wild symbol, which is a blindfolded lady with a crystal ball, on the highlighted reel, the wild symbol expands. The feature is called Hellgate. 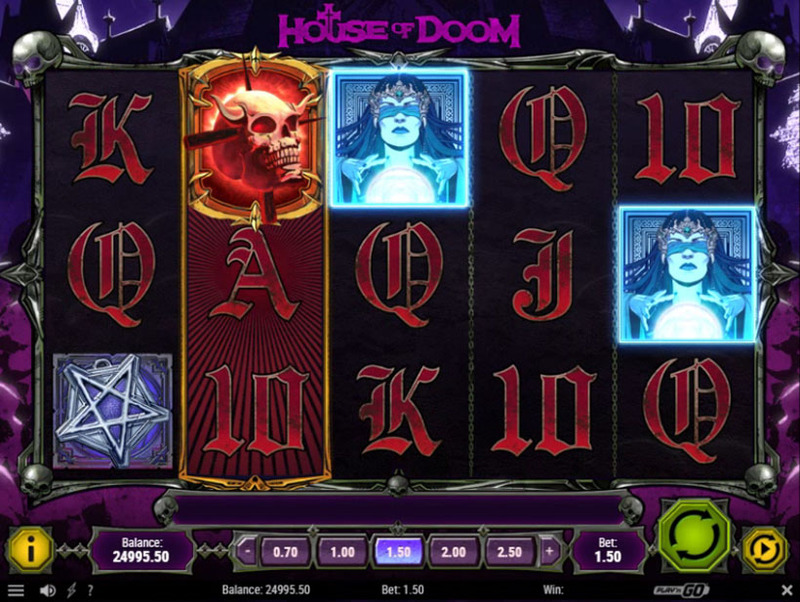 Doom Spins is the key bonus feature in this slot. 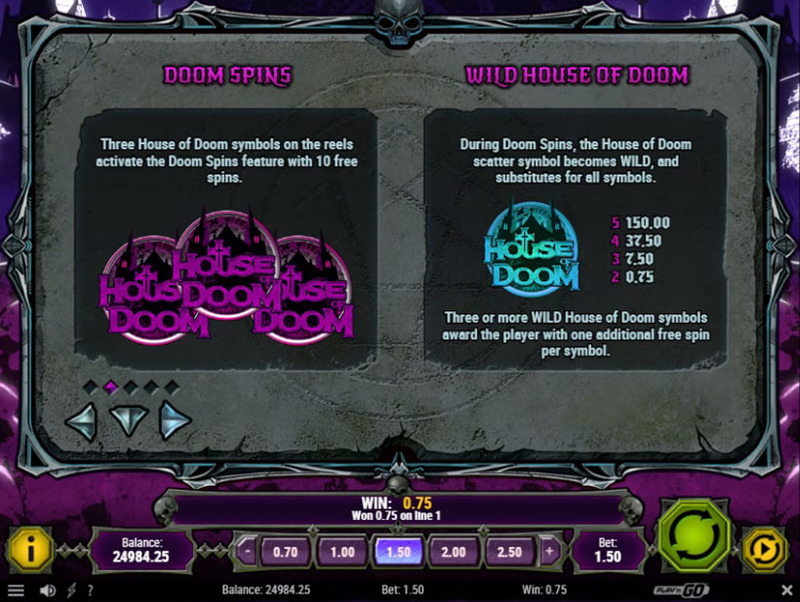 Three slot logo symbols, which are scatters, activate 10 free games. During this bonus round scatters turn into additional wilds and expand if landed on the selected reel. Moreover, there is not one, but at least 2 highlighted reels on every spin. So, this round would definitely bring some nice winnings. 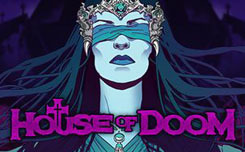 House of Doom has two scatter symbols and the second one is a Suffering Skull. If you land three of them on the reels, you’ll enter Skull of Abyss bonus game. There will be 15 skulls to choose from. 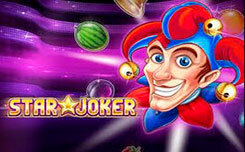 They award multipliers and some will allow you to continue the game, while others end the bonus round. 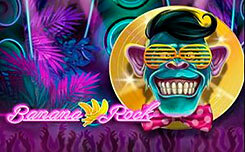 It’s a 10 line, 5 reel slot machine with amazing visuals and great bonus features. 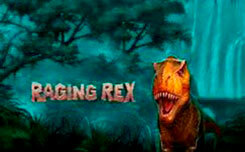 But this title isn’t for everyone as it has quite unusual theme that reminds of sufferings, pain and death.